This day next week will see the dress rehearsal of The Comedy of Errors, this year's Senior Play, and the first production by the Shakespeare Society since Twelfth Night in 2006 (pictured, Alex Henk, Max Shirley and Max Sanderson as Sir Toby Belch, Feste and Sir Andrew Aguecheek). Rehearsals continue deep into the evening in the BSR, accompanied to the strains of music from the 1970s. 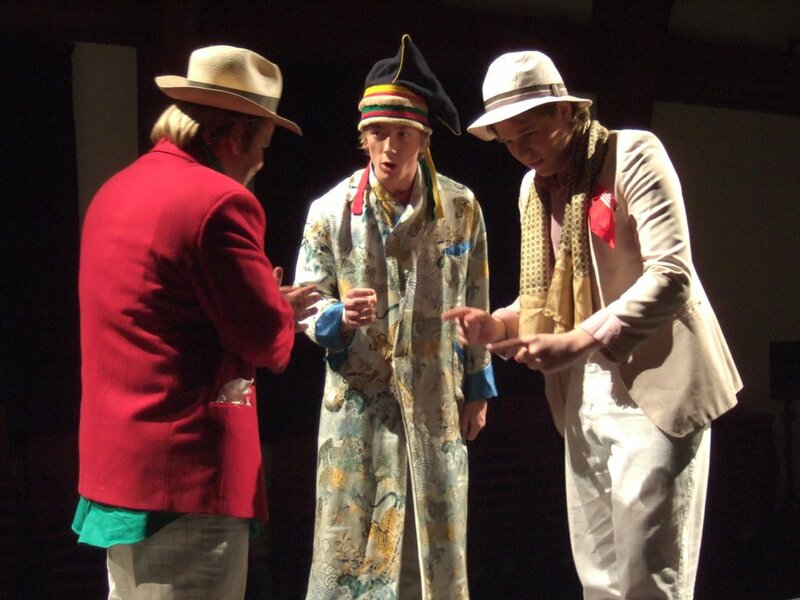 Twelfth Night was set on the French Riviera in the 1920s, but yes - The Comedy of Errors sees us in the musically and sartorially scary era of the Bee Gees and 'Disco Inferno' (below).